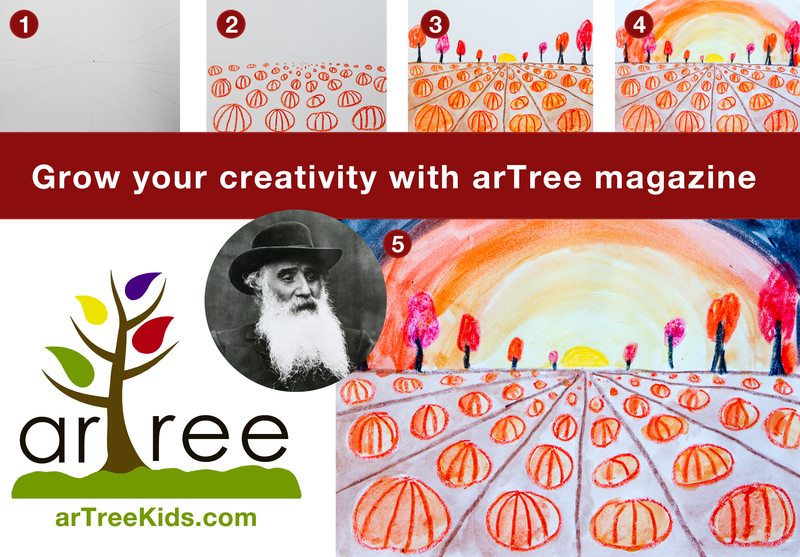 arTree magazine is celebrating the fall with you! In the November issue you can learn about Camille Pissarro and one-point perspective. We’ll show you some easy tricks to make your paintings stand out! You will discover the secrets of the corn mazes and create your own! You will paint on leaves and test your creativity. You’ll dry apples to make fall decorations and create fall art in your backyard! This entry was posted in Art Projects and tagged art, ArTree, autumn, camille, fall, harvest, landscape, magazine, one point, perspective, pissarro, resist, watercolors, wax. Bookmark the permalink.